Asteroids are like muses that come into our lives. 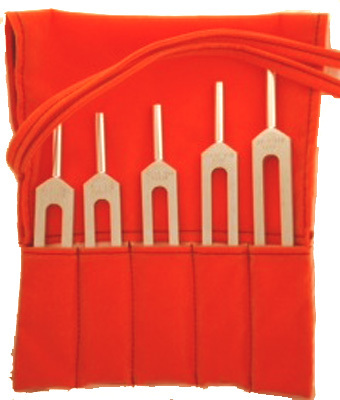 Asteroid tuning forks are playful and designed to create a sonic space that wakes us up and motivates our creativity and sense of adventure. If you are excited about something and waiting for a muse to visit then BioSonic asteroid tuning forks will attract your muse. Use Chiron as your activating tuning fork. Choose your elemental muse or muses. For example you can tap Chiron and Pallas Athena together or you can hold Pallas Athena, Ceres, Vesta, and Juno in one hand and tap them with Chiron. This will create a concert of muses allowing your inner ear to seek the right asteroid muse frequency in a shower of asteroid sounds. Chiron (Ether Element): (Healing Archetype) Chiron is an asteroid muse that opens space, heals our wounds, and empowers us to transition between times, dimensions, and worlds. Pallas Athena (Air Element): The Spiritual Sword of Truth Archetype. Pallas Athena is an asteroid muse that inspires us to see new patterns and interconnections between ideas in order to discover new truths. Ceres (Earth Element): The Earth Mother Archetype. Ceres is an asteroid muse that influences nurturing, food, cooking, nutrition, love, fertility, and comfort. Vesta (Fire Element): Keeper Of The Primal Sacred Flame Archetype. Vesta is an asteroid muse that promotes mental clarity, dedication, self-respect and the ability to “just let go into the fire”. Juno (Water Element): Soul Mate Archetype. Juno is the asteroid muse of sexual expression, tantric union in all its forms, and true love.